Thinking about euthanasia is something that no owner likes to dwell on but it is a decision that many of us eventually have to face. Taking responsibility for a pain-free and peaceful death is the kindest act we can do for a much-loved pet. Our compassionate team at Arun Veterinary Group understand this and are trained to support you through this difficult time. 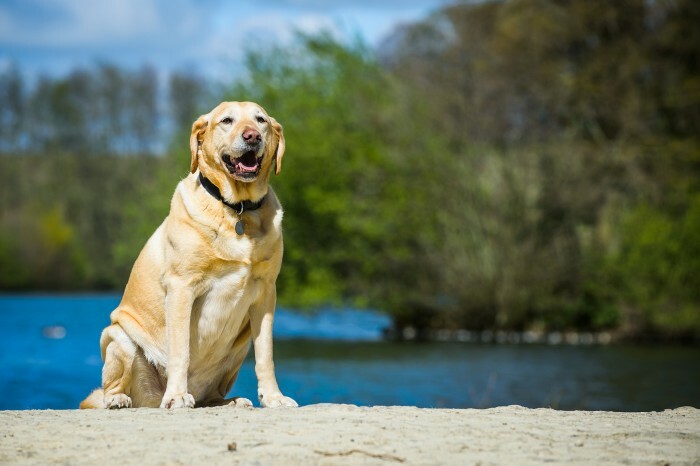 If you are hoping for an improvement in your pet’s condition, setting a time limit may be a sensible option and keeping a diary of how they are from day to day. Sadly, not all pets die peacefully in their sleep at home. Most reach a point when their quality of life is unsatisfactory and a decision for euthanasia has to be made. Our nurses offer a complimentary appointment to discuss the process of euthanasia and help you make the hard decision. We also encourage you to discuss your decision with your family and friends. You and your family know your pet better than anyone else so try to make a reasoned judgement on his or her quality of life. We can help you with your decision by making a recommendation based on clinical signs and quality of life. Persistent and incurable inability to eat, vomiting, signs of pain, distress or discomfort and breathing difficulties are all indications that euthanasia should be considered. Please explain your situation to the receptionist when you make the appointment as she can choose a quiet time for your visit to the surgery. It may be a good idea for a friend or family member to accompany you for support. We are able to make a home visit if you prefer. Some of the following described events may be distressing but do remember that your pet will rapidly lose consciousness and cannot feel pain from that point onwards. You will be asked to sign a consent form and we encourage payment to be made prior to the event to enable you to concentrate on your pet and not have to deal with it afterwards. If your pet is agitated or restless the vet may give a sedative first. Your pet will be held by one of our nurses and a small patch of fur is shaved from the front leg. We will insert a cannula into the vein and secure it in place. This then allows you to hold your pet as you wish. An overdose of anaesthetic is then injected into the vein. Sometimes the injection may be given in other areas of the body. Occasionally, your pet may give a small cry as the injection is given. This is because with all anaesthetics there is a brief feeling of dizziness as the drug takes effect. Unconsciousness follows within seconds, often before the injection is finished. In the few minutes after your pet has passed away you may see reflex muscle movement or involuntary gasps. These are not signs of life. In fact they are reflexes denoting that death has occurred. The eyes usually stay open and the bladder sometimes empties. The vast majority of euthanasias proceed smoothly and quickly with little distress to the animal. Even if there are difficulties, it is still a quick procedure that can save your pet many days or weeks of suffering. This is entirely your choice. It may be a comfort to you to see that euthanasia is a quick and gentle process. Try not to feel guilty if you feel unable to stay. Our vets and nurses choose their profession because they want to help animals. You can rely on us to treat your pet sympathetically even in your absence. At the end we will offer you the opportunity to be alone with your pet. Most people opt for cremation arranged by us. This may be communal cremation but we can also arrange for your pet to be cremated individually and the ashes returned. There is a large choice of caskets available but the most popular is a scatter box. Do not be embarrassed to ask if you wish to keep a lock of hair or perform a ceremony such as saying a prayer – we are quite used to such requests and will be sympathetic. It is entirely natural to feel upset when your pet dies. After all, your pet is a beloved family member. Do not be embarrassed about showing your emotions – we expect you to feel upset. It takes time to get over the loss of a loved one and although reactions differ, very often a mixture of feelings – sadness, loneliness and anger – can follow. Try not to feel guilty or blame yourself. The decision for euthanasia is taken with your pet’s best interests at heart to end their suffering. Some people find themselves questioning whether they did the right thing. It is normal to feel some doubt though this will ease with time. Be prepared for the house to feel empty on your return. Try to treasure your memories and talk to family and friends. If you have questions about your pet’s condition then please call us. For children it may be especially upsetting. This may be their first experience of death. Children need support even if they are not outwardly upset. Talk to them honestly about what is happening and as far as possible, involve them in the decision making. Rituals such as funerals, making a memorial or assembling a scrapbook with memories of your pet may help. Be prepared for questions above death and its finality. For adolescents the loss of a pet can be particularly difficult as your pet may be the family member to whom they feel closest. For young people who have other difficulties in their lives, the loss of a pet can be devastating and it may be sensible to seek professional advice. Sooner or later you may start to think about getting another pet. No two pets are the same and although another may have similar characteristics to your previous pet, he or she will probably have a different personality. You will probably find that the new pet is a worthy successor. The knowledge you have gained from caring for your pet could be put to good use caring for one of the many pets currently in shelters needing an experienced owner. A wonderful article. It answers all that we want to know but didn’t like to ask. Thank you. We have lost pets before and it is always hard. ‘Meg’ was an eleven year old Springer Spaniel who had lived with us (and her sister ‘Emma’, and lately two boisterous young Labradors) all of her life. ‘Meg’ developed a cancer which had spread to other sites – this was confirmed by a CT scan. For the last week of her life she still ate well, and went (slowly) for her ’comfort breaks’ in the field behind our house with the other dogs, taking great delight in flushing the odd pheasant from the long grass – then she stopped eating, her abdomen became distended and her breathing laboured. These symptoms came on very quickly and with many tears we decided that the time had come and placed a call to Arun vets. We wanted her to leave us in her home so asked for the vet to come to us – thus avoiding the stress of another trip to the vets for her. The vet and nurse arrived and explained what would happen – as you would hope, they were kind, and compassionate – not just with ‘Meg’ but with my wife and I (plus other family members who had all stopped their busy days to offer support). ‘Meg’ went quietly and quickly to sleep………..